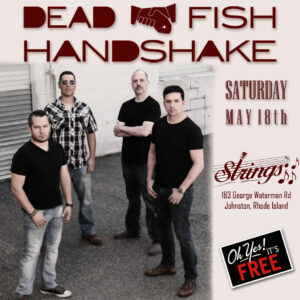 On Saturday May 18th we are teaming up with our friends at Strings to bring you all a FREE show. 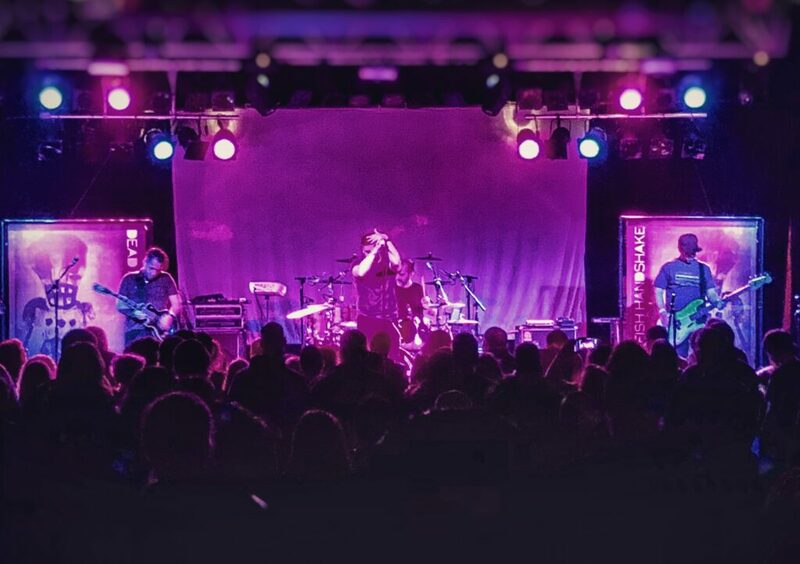 You’ve supported us for years and a free hometown show like the old days is the least we can do to say ‘thank Yyou’. We will be debuting some new material from our forthcoming album. So come be the first to hear some new music. 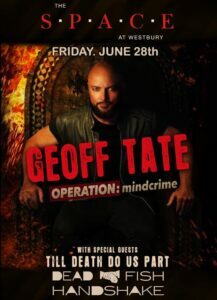 On Friday, June 28th, we return to the Space at Westbury Theater in Westbury, NY with Geoff Tate’s Operation: Mindcrime. Tickets go on sale this Friday at 10am via Ticketmaster and the theater box office. 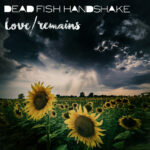 An acoustic evening with Dead Fish Handshake. 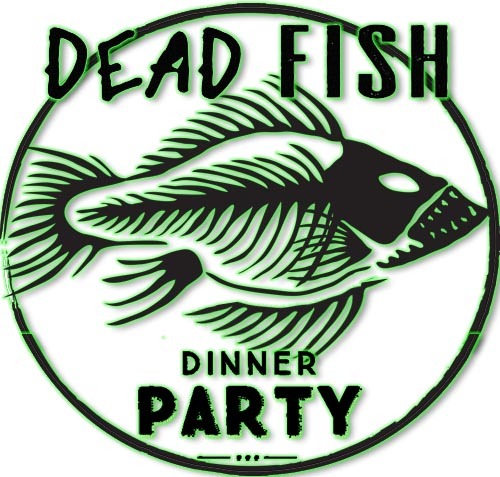 Our good friends up at AT 7 Saratoga B&B and Chef’s Table Dining have opened up their own bed and breakfast and to kick off their debut year, we have partnered together to have the first ever DEAD FISH DINNER PARTY. Space is extremely limited. 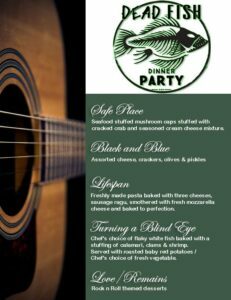 Tickets get you an amazing seafood dinner and a full on acoustic performance by us as we debut some new music for 2019. It will be a great time. Hit us up directly for your place at the table. Tickets are $35. RSVP today. We recently sat down and chatted with Mike at KJAG backstage at a show. 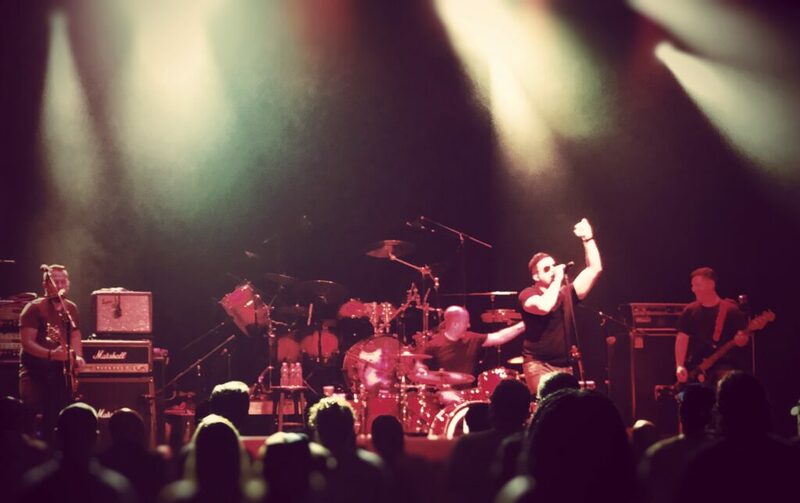 On Sunday, October 21st, we return to the Starland Ballroom in Sayreville, NJ. 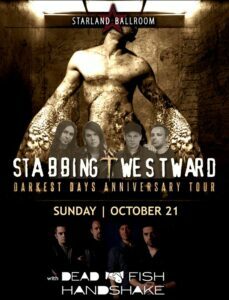 We have the pleasure of joining Stabbing Westward on their NJ stop, as they celebrate the 20th anniversary of their acclaimed album, “Darkest Days”. Advanced tickets (without fees and surcharges) are available through the DFH Store. 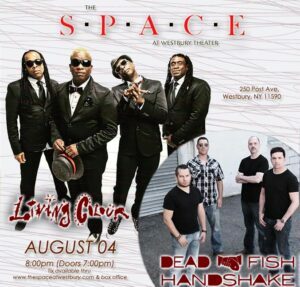 Friends in Long Island, we’re coming to The Space at Westbury Theater on Saturday, August 4th with Living Colour. …and our new single is here! If “DEVOLUTION” was frantic and bleak, “LOVE/REMAINS” is light and hope. Proud of how this one came to life. Grab a copy online wherever digital media is sold. Grateful for our DFH family’s continued support of our passion! You make it possible for us to do what we do. Thank you. Sincerely. Our new single is set for release next Friday, April 6th, 2018. Here is a short clip of “LOVE/REMAINS”.